Aquinas wines are named for St. Thomas Aquinas, a 13th century theologian and philosopher who dedicated his life to reconciling reason and faith. Honoring his wisdom and influence, our winemaking team heads for the most esteemed appellations of California's North Coast AVA–Napa, Sonoma, Lake and Mendocino counties–to find the perfect fruit. Then, we pull upon decades of award-winning winemaking to create wines sophisticated and luxurious wines. 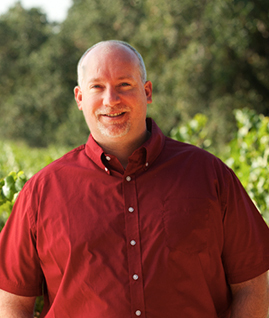 A man of science–and the only winemaker we know with a biochemistry degree–Greg Kitchens brings his finely-honed blend of scientific precision and artistic vision to Aquinas. Sourcing grapes from distinguished vineyards in the renowned North Coast AVA, Greg strives for rich, yet welcoming, expressions of the region's unique terroir. Each region within the North Coast appellation—Napa, Sonoma, Mendocino and Lake counties—has its own distinctive characteristics that permeate the fruit, adding complexity and nuance to our coveted wines. Our Cabernet Sauvignon and Pinot Noir are richly structured wines with deep, dark fruit, supple tannins and toasty notes from extended barrel aging. French and American oak barrels both figure prominently, with careful oversight to ensure that the oak serves to complement, not overwhelm the fruit. Throughout his lifetime, St. Thomas Aquinas searched for evidence of a higher being–we believe we found proof in the vineyards of the legendary North Coast. The North Coast AVA (American Viticultural Area) is one of California's premier wine-growing regions, covering more than three million acres in Napa, Sonoma, Mendocino, and Lake counties, as well as parts of Marin and Solano. Bordered by the Pacific Ocean to the west and San Pablo Bay to the south, the area is composed of rugged coastal ranges, volcanic mountains, gentle rolling hills, deep valleys, and wide alluvial plains. With tremendous diversity in soil types and microclimates, the North Coast produces grapes that are deeply influenced by terroir, infusing the wines with character and a unique sense of place that can't be found anywhere else in the world. © All Rights Reserved. Aquinas is a trademark of Don Sebastiani & Sons.